Partisan du sens creates the new identity of this iconic reference since 1876. Renault Carte Noire Extra Old is created by blending more than 50 different, carefully selected eaux-de-vie. These grands crus impart a rounder, smoother and longer finish, with fruity nuances of flowers and spices in this cognac with a rich heritage. The new Renault Carte Noire XO label is inspired by a historic label; and pays tribute to the story of one of the oldest cognac recipes still marketed. The double label gives a new dimension to the bottle, bringing a separate block and more visibility. The subtle play of ornaments emphasizes the finesse and roundness of this assemblage. 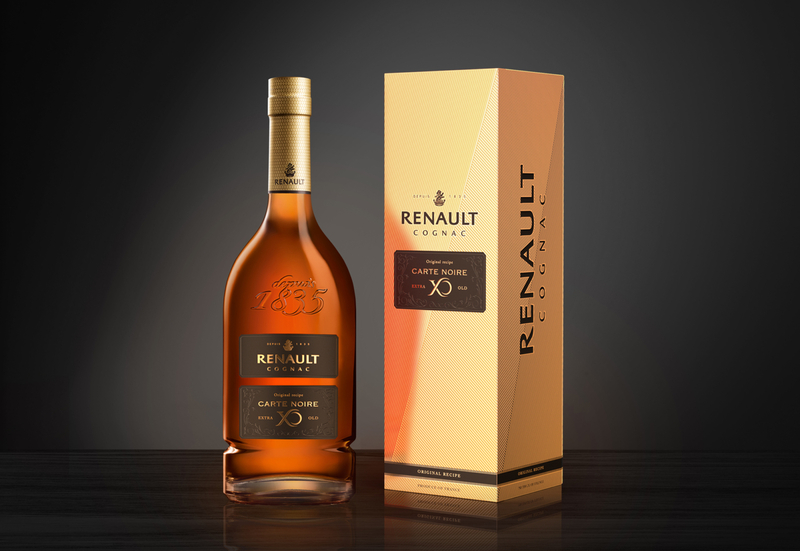 The new pack is adorned with elegant matte and shiny gold lines offering a contemporary and sophisticated touch; and the highlighting of the Renault Cognac brand and its historic recipe: CARTE NOIRE EXTRA OLD.